The Dimmitt’s Grove neighborhood is one that our clients often ask our agents at BN Realty about. The 26 city-block-area can be found between Washington Street and Oakland Avenue on its north and south boundaries, and in between Gridley street and Clinton street on the west and east side, respectively. If living in a neighborhood rich with history and stunning architecture appeals to you, considering Dimmitt’s Grove is an absolute must for your house hunting. You don’t have to take our word for it, though! Visit the Old House Society or the Dimmitt’s Grove Neighborhood Association websites. 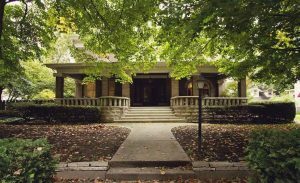 It’s easy to spend hours reading through the information about particular homes, looking at pictures, and even learning about influential people in the history of Bloomington, Illinois. Make sure while you’re on the website, you take note of how active the Dimmitt’s Grove Neighborhood Association is! They host bi-monthly meetings and various other events that include: ice cream socials, flea markets, neighborhood walks, and home tours. The sense of community among residents in Dimmitt’s Grove is second to none. The children attend school in District 87. Sheridan Elementary , Bloomington Junior High and Bloomington High School are where they will spend their days in the classroom. Although the neighborhood of Dimmitt’s Grove is immensely desirable for many buyers, we want to point out that the homes are also affordable! 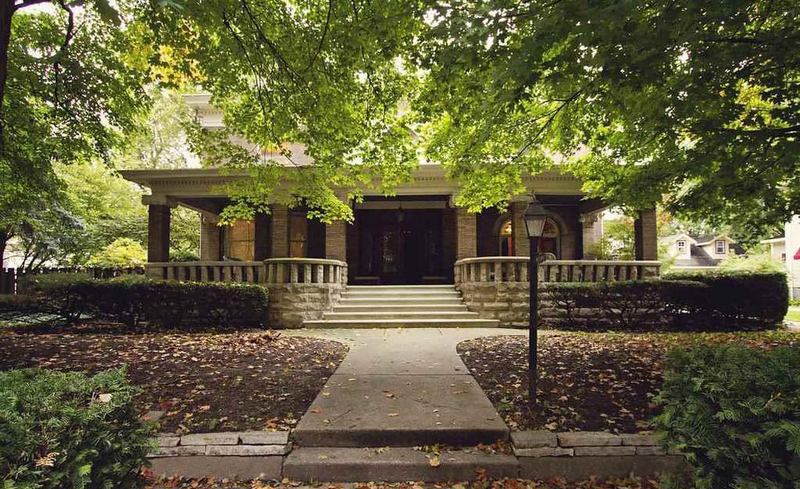 Living inside a home that is rich in Bloomington’s history is well within reach for many people. Ranging in sale price from under $100,000 up to near $200,000, there are plenty of options that we can’t wait to show off. The homes tend to be on the larger side for their price range, which is just another plus of the historic homes found here. Currently listed homes average of 2,000 to 4,000 square feet. While we can attempt to describe some of the unique features of these homes, they can not be truly appreciated until a buyer walks through the front door. Beautiful woodwork, built in’s, wrap around front porches, hard wood floors, French doors, and large kitchens appeal to many buyers. Just imagine yourself calling a stunning Victorian style house that was built in the late 1800’s your new home! It is said, “It was a mistake to think of houses, old houses, as being empty. They were filled with memories, with the faded echoes of voices. Drops of tears, drops of blood, the ring of laughter, the edge of tempers that had ebbed and flowed between the walls, into the walls, over the years…” (Nora Roberts, Key of Knowledge). We cannot agree more and we truly believe that all of those memories contribute to the character of a house and make it feel like HOME that much more. Please allow us the pleasure of showing you what Dimmitt’s Grove can offer your family.